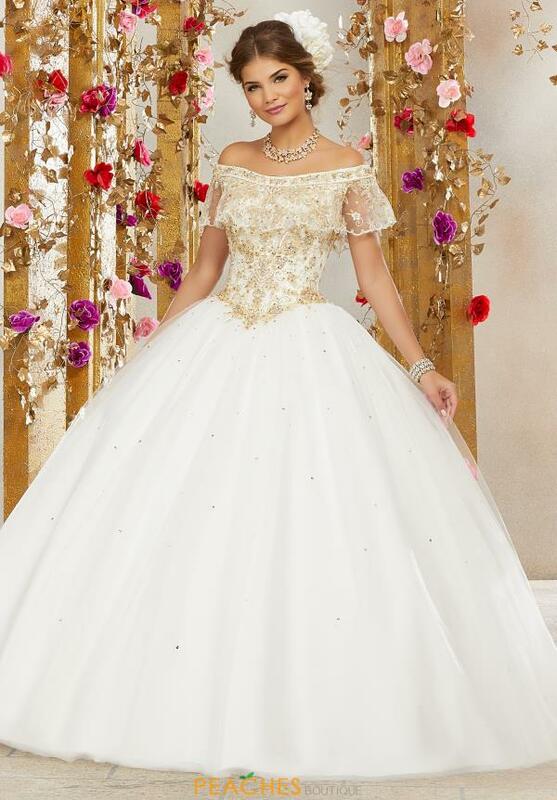 Wow the crowd at your party with this breathtaking Valencia Quinceañera ball gown 60075. This show stopping dress features an off the shoulder neckline with a sheer embroidered ruffle that lines the neckline. 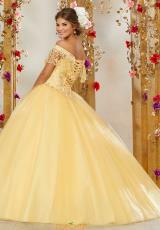 The corset style bodice is adorned with gorgeous bead work and embroidery, and features a lace up back. The basque waistline is ultra flattering, lengthening the torso and slimming the hips before billowing out into the voluminous ball gown skirt. The tulle skirt is dotted with shimmering sequins and ends with a dramatic train.